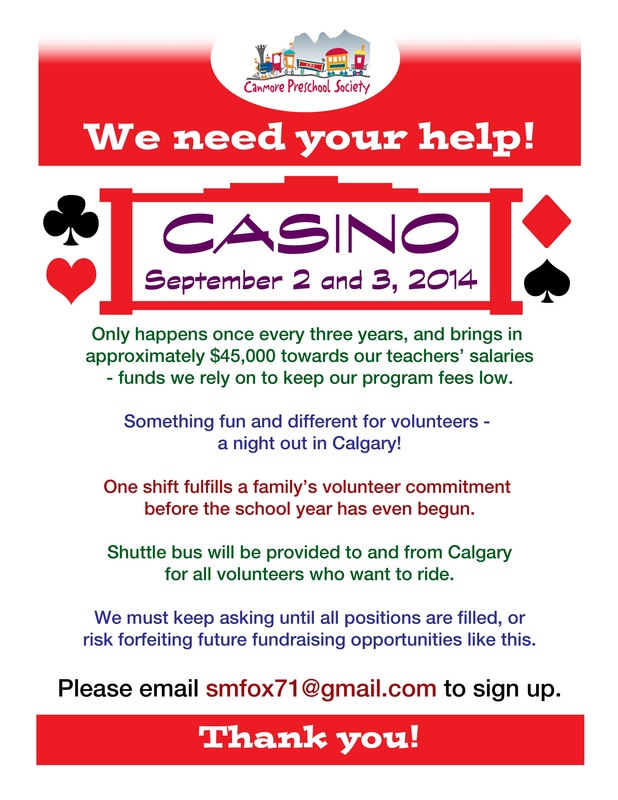 Please, sign up online to volunteer for the CASINO! Please follow the link below to read position descriptions and sign up. Remember this happens only once every three years, brings in around $45,000 to our programs, and fulfills families’ volunteering commitment before the school year has even begun. Plus, we are providing a shuttle bus to and from Calgary for each shift! After clicking on the sign up sheet make sure to click the “Open” button in order to add your name. Any questions please email our casino coordinator, Shannon Fox, smfox71@gmail.com.